I have a number of photographs with children & their pet dogs in my collection, but I think these two photographs would win an award for the most charming. 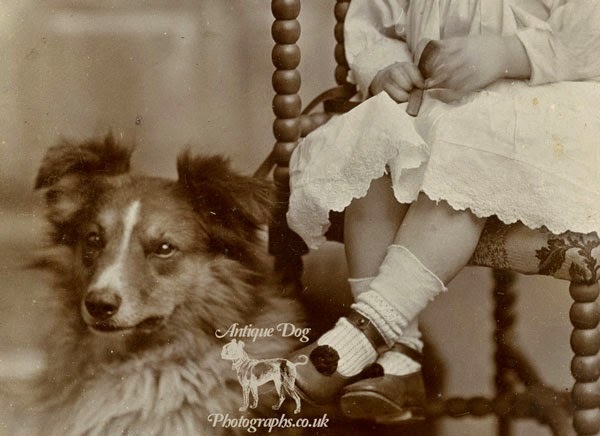 In the first photograph Winifred's little hands are slightly blurred as she clutches onto the lead of her Rough Collie, who according to the annotation on the reverse might be called "Whit". 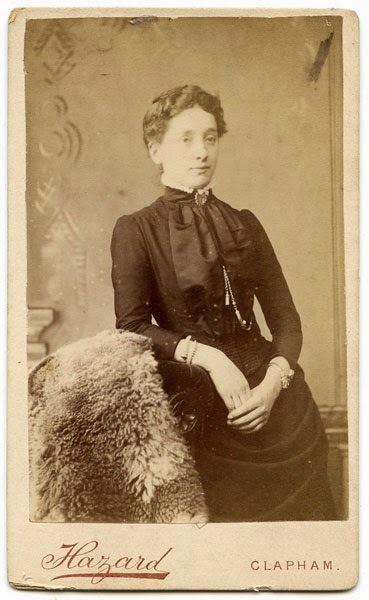 Winifred's portrait was taken by photographer William Coles. 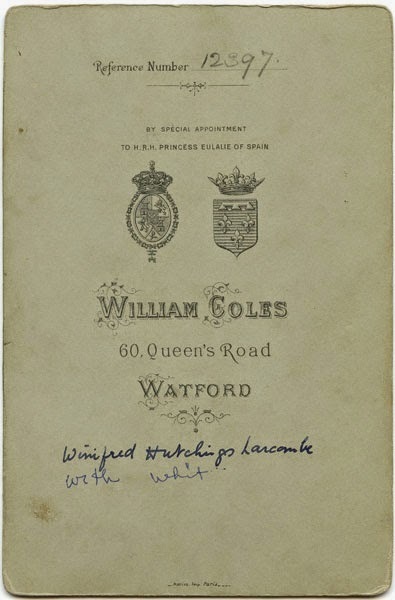 His Studio resided at 60 Queen's Road from approximately 1890 to 1908, during which time Coles photographed HRH Princess Eulalie of Spain as well as his more ordinary clients. 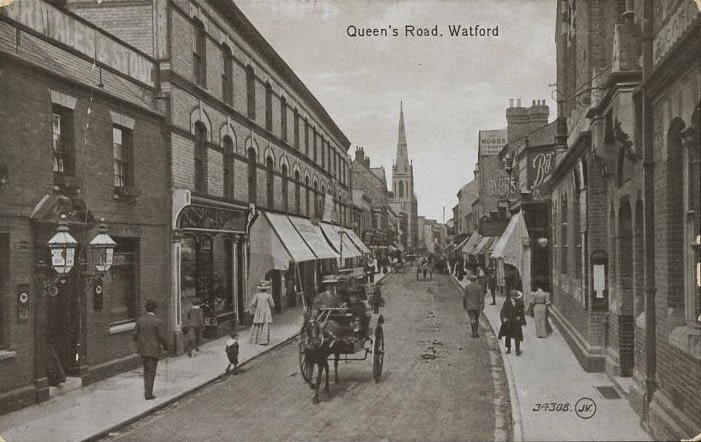 Below is a postcard view of Queen's road from circa early 1900s. 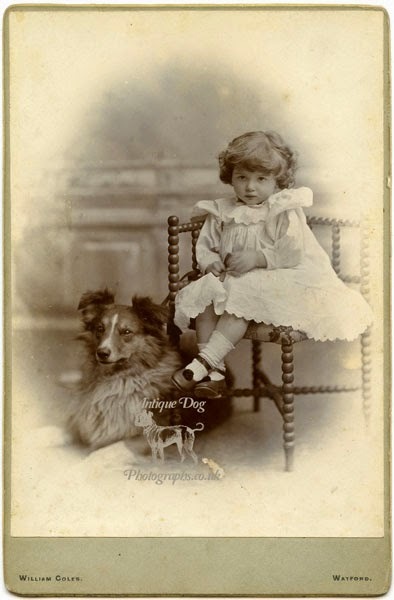 Winifred was certainly a lucky little girl to have such a beautiful Rough Collie as a pet. Take a look at the second photo of the pair in a slightly different pose. Doesn't the dog's fur look soft? 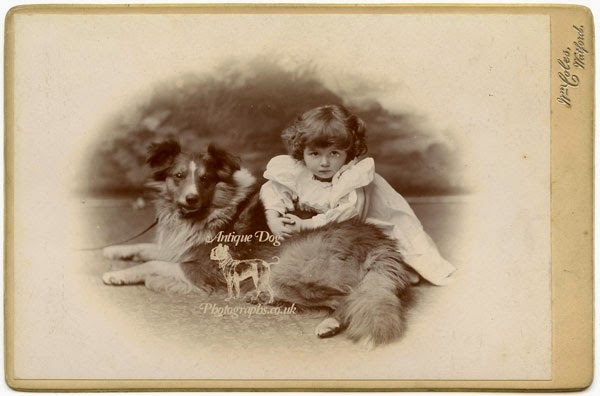 Winifred was a very lucky little girl to have such a beautiful Collie as a pet. The origins of the Collie hail from Scotland were they were used for a variety of agricultural pursuits. The Collie is one of the most ancient breeds with more than a passing resemblance to the wolves from which it is descended. 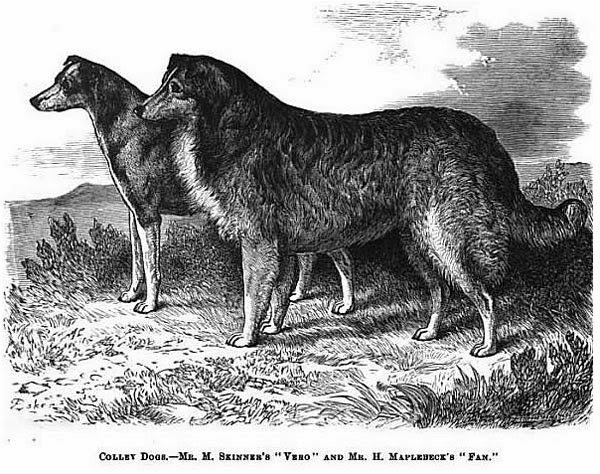 "The modern rough-coated Scotch Collie is, without doubt, one of the handsomest examples of the canine species, his long, intelligent head, enormous coat and frill, proportionate frame and symmetry, and great buoyancy of disposition appealing to all dog lovers, and which account for his at once coming into popularity." 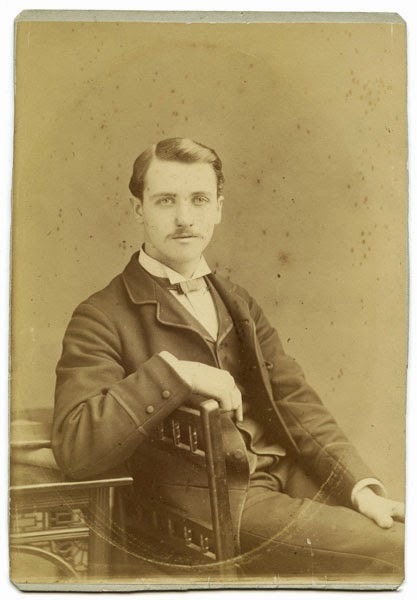 Winifred was the first daughter of Frances (nee Poulton) and Ernest Hutchings Larcombe. You can see their portraits below. 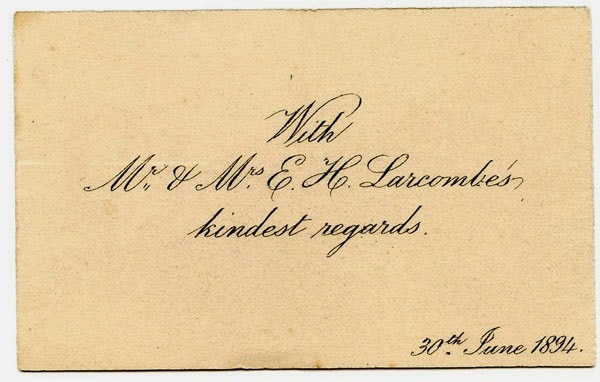 Frances & Ernest married on 30th June 1894 in St Albans. Winifred was born in April 1895. The family lived comfortably, Ernest worked as a law clerk and the family was able to afford a domestic servant who lived with them in their home. 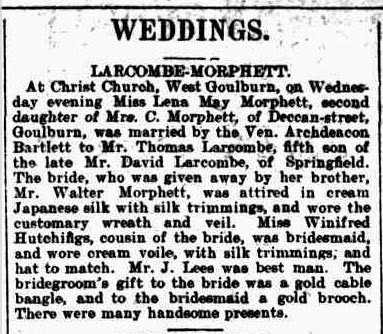 In 1911 when she was 16 Winifred was a Bridesmaid, but she herself would never marry. She died aged 60 in 1956.